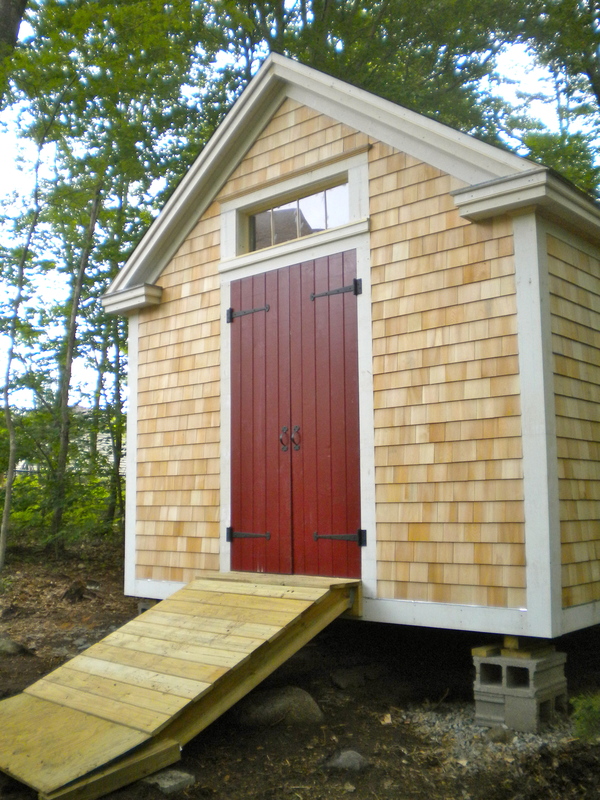 Back in the spring of 2010 I had the opportunity to design and build a very traditional stick framed shed. This project served as a great lesson on modern stick frame/platform framing construction techniques. In addition to top quality materials the project also had an emphasis on how traditional designs can be executed in a modern context while also maintaining high levels of craftsmanship. View from the front of the barn. PT Access ramp installed.